Enyx, a leader in ultra-low latency FPGA-based technology and solutions, is proud to announce that its 25G TCP/IP Core technology was featured by Xilinx, Inc. at the 2019 Mobile World Congress in Barcelona last month. Xilinx utilized the Enyx TCP offload engine to power its demonstration on application layer security offload for high efficiency in telecom data centers. Combining ultra-low latency FPGA IP cores and market access technology with next-gen FPGA platforms for high performance, trading solutions available for the APAC region. Combining end-to-end, ultra-low latency market data normalisation and distribution with fully managed support and co-location services within the Hong Kong Exchange data center. 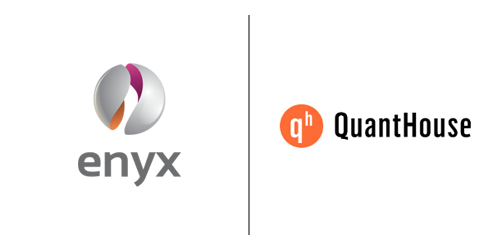 Hong Kong, London and New York – September 18, 2018 – Enyx, the premier provider of low-latency, FPGA-based market data and order execution systems, today joins the qh API ecosystem. This joint venture with QuantHouse, a leading independent global provider of end-to-end systematic trading solutions including innovative market data services, algo trading platform and infrastructure solutions, provides trading firms with immediate access to a high performance, FPGA accelerated end-to-end market data service.